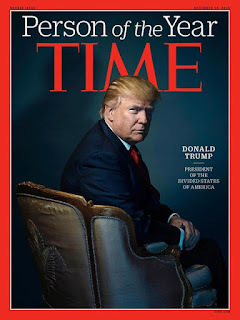 Time magazine announces Donald Trump as its person of the year on 7th December, describing him on its front cover as the ‘president of the divided states of America’. Assistant managing editor at Time, Ben Goldberger, says that for 90 years the magazine has named the person ‘who’s had the greatest effect on the world and the news for good or for ill’. 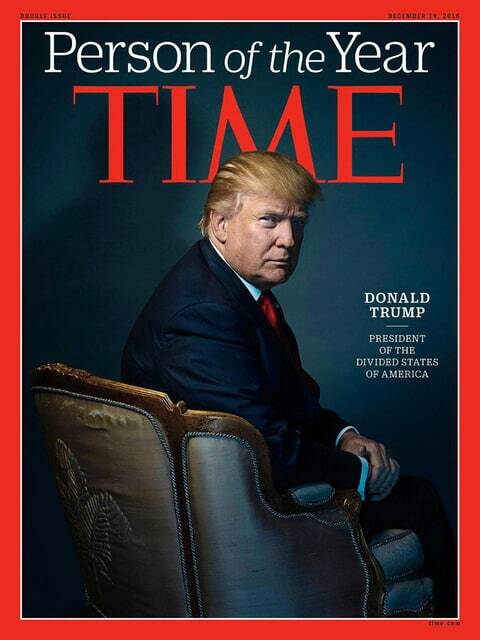 The Time cover reads, “Donald Trump - President of the Divided States of America” and the cover image features a photograph of the President-elect sitting in his private residence at Trump Tower. Gibbs said Time gives the title to the person who has had the greatest influence on events “for better or worse”. The No.3 finalist for the Person of the Year was “The Hackers,” which Gibbs said referred to “a new cyber security threat we saw this year of state-sponsored hackers looking to delegitimise an American election”. This isn't the first time TIME has chosen a polarising figure for its world-famous annual profile. Stalin, Hitler and Khomeini were previous choices.